On 07-10-2013, approximately 8:30 a.m. the Humboldt County Sheriff’s Office assisted by the Humboldt County Drug Task Force ( H.C.D.T.F) served a Humboldt County Superior Court Search Warrant for marijuana in the 4900 block of Wiregrass Ridge Road, Fieldbrook. Sheriff Deputies obtained the search warrant after receiving information by citizens about the commercial marijuana growing operation. When Humboldt County Sheriff’s Deputies and H.C.D.T.F. Agents arrived at the residence they announced their presence. Upon seeing the deputies, a female, later identified as Tarah Pratts, fled out the back door of the residence. Deputies chased and caught Tarah who violently resisted their efforts to arrest her while she was holding something in her hand. 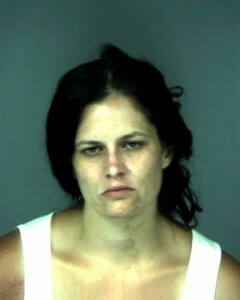 When she was finally taken into custody deputies located a bag of methamphetamine in her hand. While deputies were arresting and chasing Tarah Pratts, Timothy Mathew Pratts came out the front door of the residence, however refused deputies command to show them his hands and immediately became argumentative with the deputies. 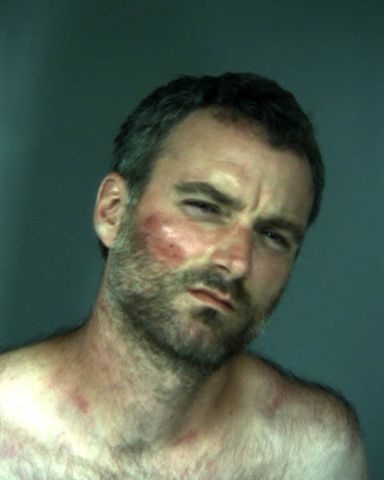 When deputies attempted to take him into custody, he too violently resisted their efforts to arrest him, causing a minor injury to one of the deputies during the course of his arrest. Inside the Pratt’s home deputies located their five-month-old child and a 13-year-old teenager. During a search of the Pratt’s residence and property deputies located 450 growing marijuana plants in three green houses and 90 marijuana plants being grown outside. The plants ranged in size from approximately 1 ½ feet tall to 6 feet tall. Deputies also located approximately forty pounds of marijuana bud, 29 grams of methamphetamine and $2,200.00 in cash, scales and packaging material. Timothy Pratts 40 years old and his wife Tarah Pratts, 35 years old, were arrested and charged with cultivation and possession of marijuana for sale, possession of illicit drugs and possession of illicit drugs for sale, resisting arrest, interfering with an executive officer in performance of their duty and child endangerment. Humboldt County Child Welfare Services responded to the residence and took custody of the children. Both Pratts were booked into the Humboldt County Correctional Facility where their bail was set at $50,000.00. This entry was posted on Thursday, July 11th, 2013 at 11:09 am	and is filed under News. You can follow any responses to this entry through the RSS 2.0 feed.